Southwark Council has been stunned to be told by Lend Lease that they will not be getting their expected share of the profits from the first completed phase of the Heygate redevelopment (now known as Trafalgar Place). The shock revelation is in response to a 35% Campaign FOI request. The revelation confirms doubts raised from a Previous FOI request we made for the annual audit of the development account, which said that no overage is currently forecast to be payable. Southwark are entitled to 50% of the overage under a profit share agreement, detailed in the leaked Heygate regeneration agreement; the amount to be determined at the end of each development phase and paid upon the project’s completion in 2025. Phase 1 (Trafalgar Place) has 235 new homes and was finished last June. Southwark were due to meet Lend Lease on 3 February 2016, but the meeting was cancelled - presumably because the Council would have left it empty handed. 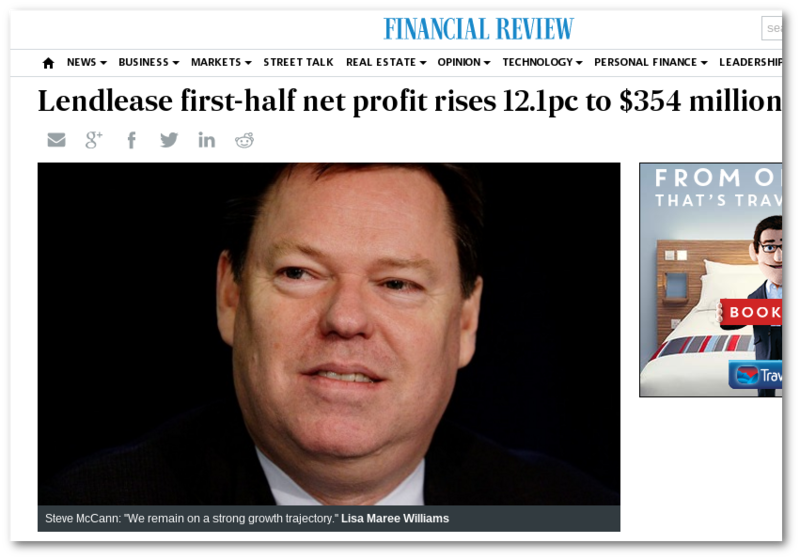 It could be that Trafalgar Place simply has not made enough profit to trigger an overage payment, but this would appear to be contradicted by Lend Lease Corporation reporting to the Australian stock exchange that its profits were up 12% to AUD $354m(£192m) in the 6 months to February 2016. Exactly how much of this profit is from Trafalgar Place we don’t know, although Lend Lease does acknowledge that the profits are a result of “strong sales momentum at residential projects at Victoria Harbour in Melbourne and Elephant & Castle in London”. Alternatively, the explanation could lie in clause 3.7 of the regeneration agreement. This states that “receipts from a disposal of any interest in land to a wholly-owned group company .. shall be disregarded for the purposes of calculating profit overage”. Clause 3.7 of the regeneration agreement. Lend Lease has unsurprisingly set up precisely this kind of group company arrangement; the parent company is Lend Lease Corporation, while Lend Lease (Elephant & Castle) Ltd is the contractual party to the regeneration agreement. It purchased the Heygate land for £50m and now sells the individual phases on to Lend Lease Residential companies. The land for Trafalgar Place was sold for £8m to Lend Lease Residential (BH) Ltd . Another plot, for Elephant Park (South Gardens), was sold to Lend Lease Residential (CG) PLC for £5m. 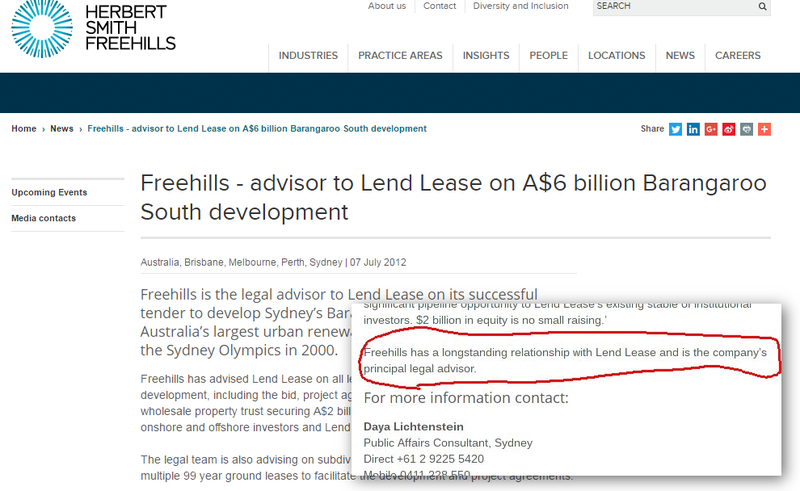 The Land Registry deeds show the Lend Lease Residential companies selling their apartments to the final owners and we can presume that these companies hold the sales receipts, at least in the first instance. The group company arrangements described in clause 3.7 are common; the advantage is that assets, such as land, can be traded between group companies, conveniently arranging debts and credits to put any profit out of the reach of third parties, who might otherwise have a claim to it; in this case however it doesn’t look as if this was necessary - Southwark gave Lend Lease an easier way out. It’s hard to believe that Southwark would not have anticipated the consequences for their overage of clause 3.7, or had not been warned by their professional advisors on the Regeneration Agreement about this possibility. Press release originally published on Herbert Smith Freehills’ website. However it is equally hard to believe that the Council sought its professional advice from the same company (Herbert Smith Freehills), which back in Australia has a “longstanding relationship with Lend Lease and is the company’s principal legal advisor”. Press release published on Herbert Smith Freehills’ website. How much profit have Lend Lease made on Trafalgar Place? In light of clause 3.7 will Southwark ever get any overage profit? What advice did Southwark get from Herbert Smith Freehills? The Council should respond to our FOI request and publish the advice immediately.